Located in the heart of the South Pacific, Fiji is blessed with 333 tropical islands that are home to some of the happiest people on Earth. Famed for rugged landscapes, palm-lined white sand beaches, coral reefs with crystal clear lagoons it is the ideal destination for divers, honeymooners and those looking to relax and get away from it all. Fiji is also widely celebrated for its culture, which uniquely welcomes visitors home. 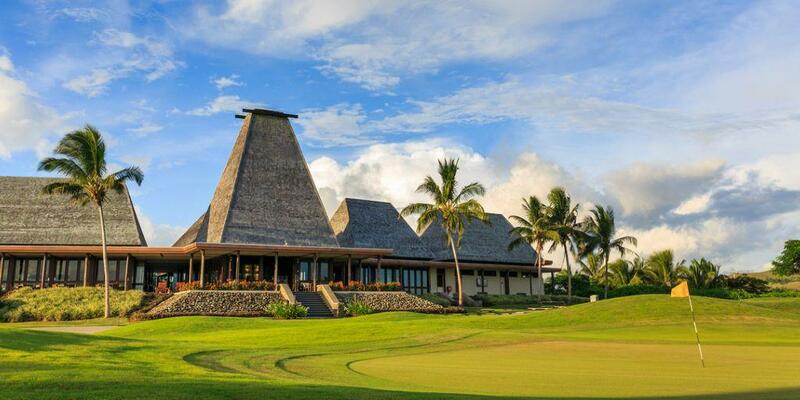 Golf is played widely in Fiji, and the country has produced one of the world’s top golfers, Vijay Singh. The former world number one and Hall of Fame inductee was born on the main island Viti Levu. There is a total of 14 scattered throughout the islands, two championship courses - Natadola Bay Championship Course and Denarau Golf Club provide an excellent golf experience - on the main island, a spectacular David Kidd designed Golf Course will wow you on the ultra-private island of Laucala. In addition to golf, many sought after experiences and a plethora of outdoor adventures are found in Fiji, allowing you to check off numerous to-dos from your bucket list. Landlubbers and water babies alike will enjoy exploring Fiji’s breath-taking beauty from above or below the surface. Excellent spa experiences, numerous culinary delights and warmth of the Fijian people, welcoming you home with genuine smiles and a friendly ‘Bula’, will add to your highly memorable stay on the beautiful islands of Fiji. A Paradise like no other!